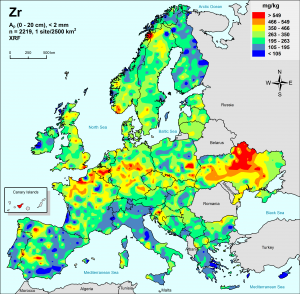 The mission of the EuroGeoSurveys Geochemistry Expert Group (GEEG) is to provide high quality geochemical data of near-surface materials, to develop harmonised databases for multi-purpose use, to offer independent expert advice to the European Commission, and to supply sound background data to scientists for their research, and to the public, in general, for education and other purposes (e.g., land use planning, agriculture). The Geochemistry Expert Group brings under the same umbrella applied geochemists from all EGS Members, and act as a forum for the exchange of expertise, working together in order to deliver good quality professional products and services to EU countries. 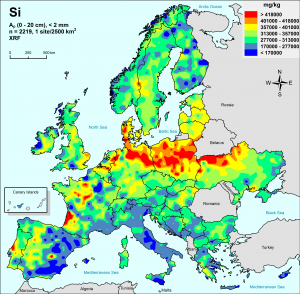 To achieve this mission, systematic geochemical data for the whole of Europe are generated and systematic geochemical information is published in the form of geochemical atlases, which are freely available, and can be used for (a) state of the environment reports, (b) mineral exploration, (c) agriculture, (d) forestry, (e) animal husbandry, (f) geomedicine or medical geology, (g) determination of natural background values for environmental risk assessment, etc. 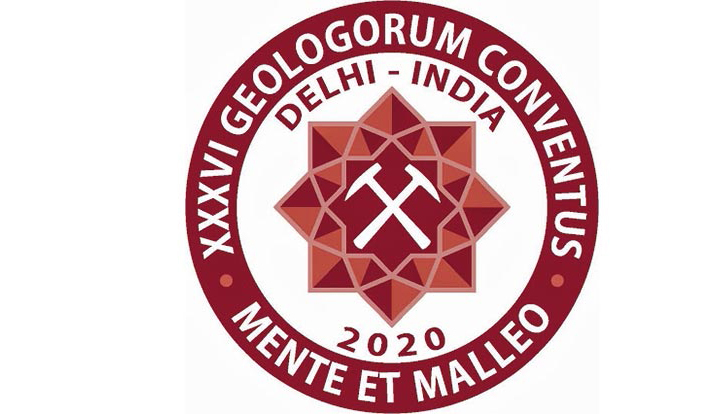 The vision, therefore, is to produce high quality multi-element geochemical databases for multi-purpose use for all types of near-surface Earth materials. 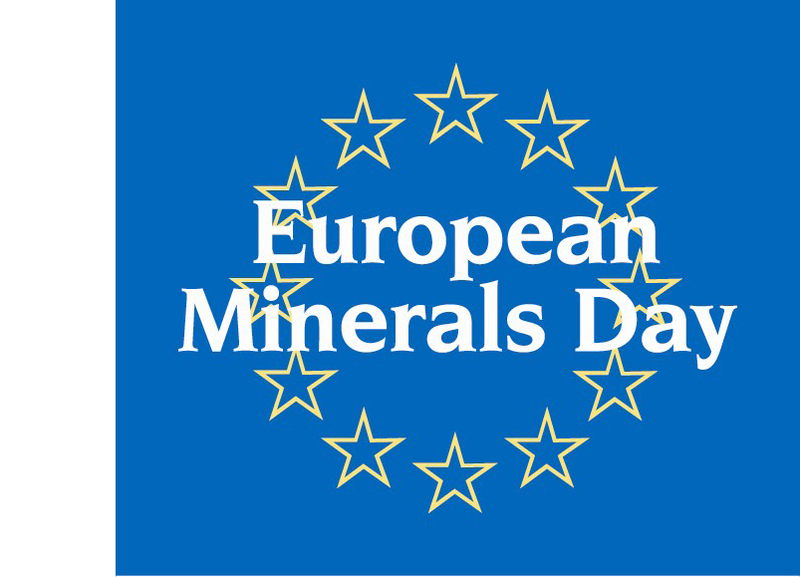 Under the umbrella of the Geochemistry Expert Group (GEEG) run projects that fulfil the requirements of different European Commission (EC) Directives (EC Water Framework Directive, EC Mine Waste Directive, INSPIRE Directive, etc.) as well as the REACH Regulation (Registration, Evaluation, Authorisation and Restriction of Chemicals). 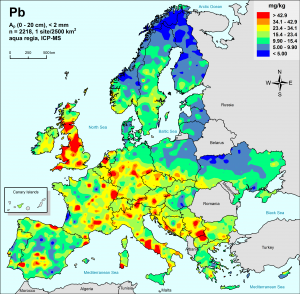 The Geochemical Mapping of Agricultural and Grazing Land Soils Project (GEMAS), provides for the first time fully harmonised data for element concentrations and soil properties known to influence the bioavailability and toxicity of the elements at the continental (European) scale, compliant with REACH. Geological Surveys are the only institutions that can map systematically urban areas and have the know-how to distinguish between the natural and urban (anthropogenically modified) geochemical background. These issues are addressed in the URGE project. Furthermore, legislatively driven demand for geochemical data from the urban environment is now an important requirement in the challenge to provide healthier and cleaner towns and cities. First results of the project were published on the Mapping the Geochemical Environment of Urban Areas book. The European Ground water Geochemistry Project (EGG), was able to analyse groundwater using bottled water as “proxy, fulfilling the conditions of the EC Directive 2000/60/EC (EC, 2000), and its results was a book entitled “Geochemistry of European bottled water”. The book assists the European Commission in its legislative work on bottled waters with respect to inorganic constituents and provides a good estimate of element concentrations and variation in groundwater at the European scale. « Everything in and on the earth – mineral, animal and vegetable – is made from one, or generally some combination of, the 86 naturally occurring chemical elements. Everything that is grown, or made, depends upon the availability of the appropriate elements. The existence, quality, and survival of life depend upon the availability of elements in the correct proportions and combinations. 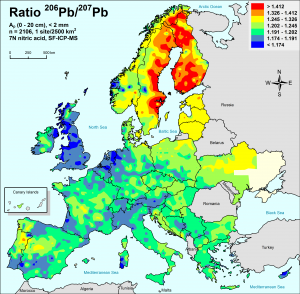 Because natural processes and human activities are continuously modifying the chemical composition of our environment, it is important to determine the present abundance and spatial distribution of the elements across the Earth’s surface in a much more systematic manner than has been attempted hitherto’. Systematic geochemical mapping is considered, therefore, as the best available method to document changes in the levels of chemical elements in materials occurring at or below the Earth’s surface » by Darnley et al. (1995, p.X; www.globalgeochemicalbaselines.eu/files/Blue_Book_GGD_IGCP259.pdf).